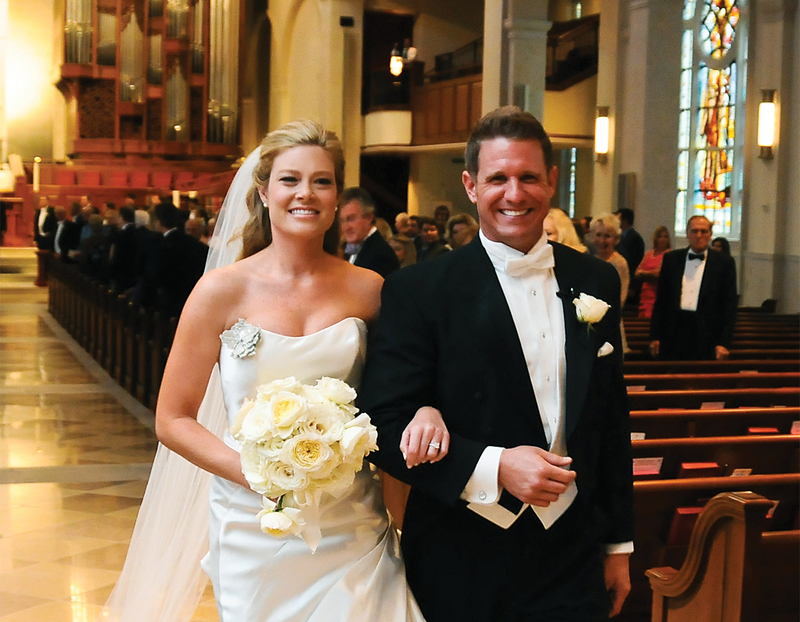 Weddings at Peachtree Road United Methodist are worship services during which a bride and groom are united in the presence of God. Every element of a wedding here is respectful of this sacred concept where the couple and their guests are surrounded by the beauty of the church, the music and the joy of the occasion. A couple wishing to schedule a wedding should first contact our Events Coordinator to set a time and date, and select either the chapel or sanctuary. After you have scheduled your wedding, our Wedding Director will contact you. You must ask one of Peachtree Road’s ministers to officiate. A Peachtree Road minister will officiate all weddings here. If you would like a guest minister to be in attendance, please discuss with your Peachtree Road minister. Weddings take place at Peachtree Road on Saturdays no later than 7:00 pm. Rehearsals take place the Friday afternoon prior, no later than 6:00 pm. You may arrive at the church on the day of your wedding two hours before your ceremony begins. We have two elegant bridesrooms where the women of the wedding party and the bride may dress. Groomsmen should come dressed beforehand. Premarital counseling with your Peachtree Road minister is required. A packet detailing all of this information and more may be obtained through our wedding director. Click here to view a pdf of our wedding brochure.